Actor Jackie Chan (along with film editor Anne V. Coates, casting director Lynn Stalmaster and documentarian Frederick Wiseman) was awarded an honorary Oscar at the eighth annual Governors Awards. The 62-year-old actor is the first Chinese to have received the award, which is given in recognition of “extraordinary achievements” in film industry. Russia to block LinkedIn over data security. A Russian Court has upheld the decision to block social networking site LinkedIn, ruling that the company do not comply with the country’s data protection rule. The rules requires all personal data of Russian citizens to be stored on servers inside the country itself. A remembrance service (first ever of its kind in Royal Navy) for around 8 million horses killed in World War I was held at UK’s Royal Navy Marines Stables. New Doordarshan channel, named, DD Arunprabha, for Northeast to be launched. This step will be taken by public broadcaster Prasar Bharti in order to reach more viewers in the Northeast region. The channel is expected to start from December 25. Aditi Ashok (Golfer) has become the first Indian to win a ladies European Tour Event, clinching the Hero Women’s Indian Open in Gurgaon. She is the only golfer to have represented India at the Olympics, after participating in Rio. Sikkim’s Chief Minister, Pawan Chamling, laid the foundation stone of a ropeway for what would be the world’s highest skywalk once completed. The Bhaleydhunga Skywalk Project at 10,300ft. will be the second of its kind in Asia. Himachal Pradesh hosts National Paragliding Championship. Over 100 pilots from 15 countries participated in this at Bir. 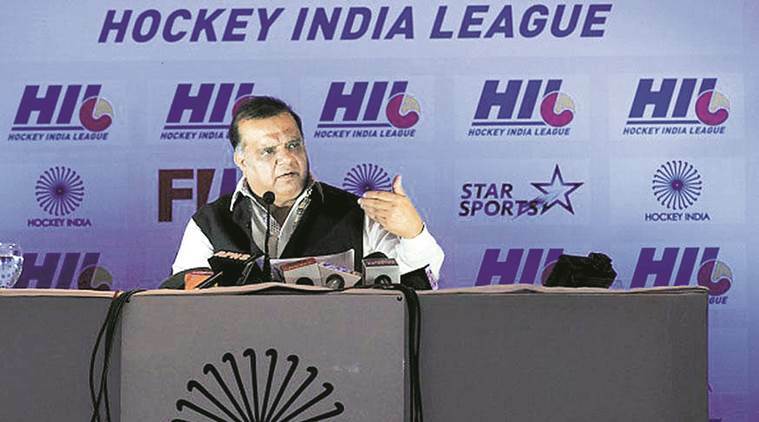 Hockey India president, Narinder Batra has been elected as the President of International Hockey Federation. With this he became the first Indian to be elected as the chief of the mentioned body. Pawan Goenka has been elevated to the position of Managing Director of India’s largest utility vehicle manufacturer Mahindra & Mahindra. Finland to be world’s first country to axe all the traditional school subjects from its school including literature, physics history and maths by 2020 and will be taught events and phenomena by the school. Mark Zuckerberg (Co-founder and CEO of Facebook) has been named as the Business Person of the Year by the Fortune magazine. India and Bhutan have signed new bilateral trade agreement to enhance the trade through trade facilitation by improving procedures. Pune to host India-China ‘Hand-In-Hand 2016’ training from November 15-27. This will mark the 6th annual joint training exercise between the armies of the two nations. Tata Institute of Fundamental Research (TIFR) will launch 10 balloon flights for scientific purposes between November 15 to April 30 in collaboration with ISRO and Department of Atomic Energy. Late British MP Jo Cox and the White Helmets, the Syrian rescue workers she supported during the last years of her life, are set to receive a joint peace prize at the Raising Global Peace forum next week. ‘The Guest’ won the short film award at the MAMI film festival. The film has been released online. 1. Who was awarded an honorary Oscar at the eighth annual Governors Awards? 2. Which country among the following has decided to block LinkedIn over data security issue? 3. Who has become the first Indian to win a ladies European Tour Event? 4. Which state is hosting the National Paragliding Championship? 5. Who has been elected as the President of the International Hockey Federation? 6. Who has been named as the Business Person of the Year by Fortune magazine? 7. Which movie won the short film award at the MAMI (Mumbai Academy of Moving Image) Film Festival? nice article . Another company also provides the facilities of tours and travels .For more information visit here.